This topic contains 26 replies, has 4 voices, and was last updated by 8th 1 year, 7 months ago. Welcome to the new Artist’s Studio in the forums! 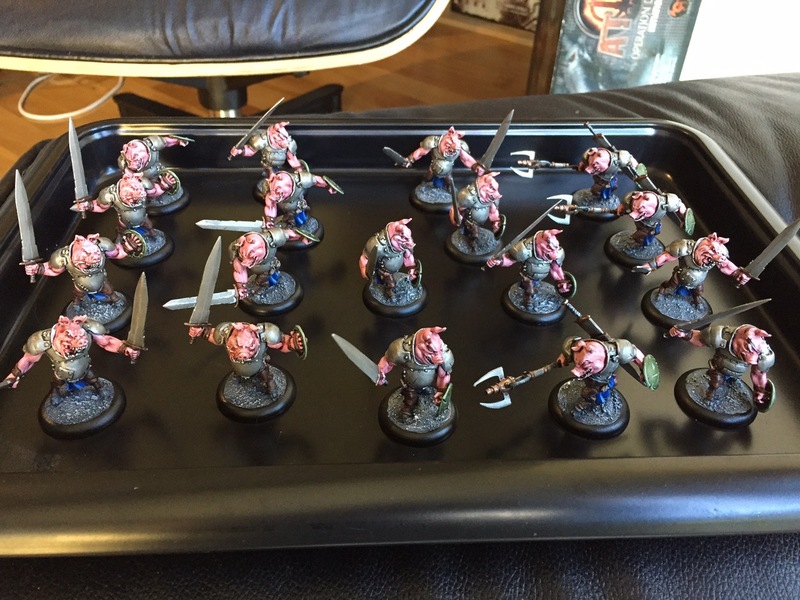 This is where EOG members can display, discuss and dissect their miniature painting efforts. 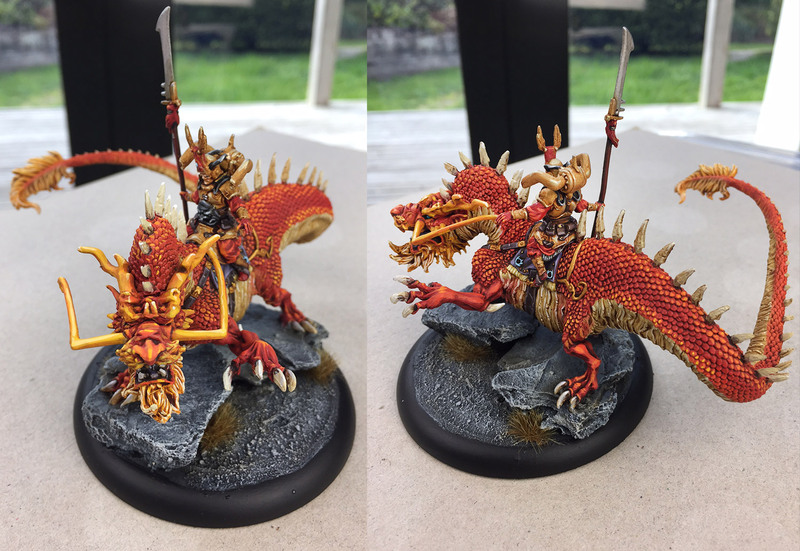 To get started, I’m going to showcase my latest painting project. I’m attempting to barnstorm my way through a large backlog of unpainted Wrath of Kings figures, and I hope to complete a new unit type every week. Remember, you can see larger images by right-clicking on the image and selecting ‘open image in new window’. Hadross Sevridan Gutters. Or as I prefer to call them, Jellyfish Men! 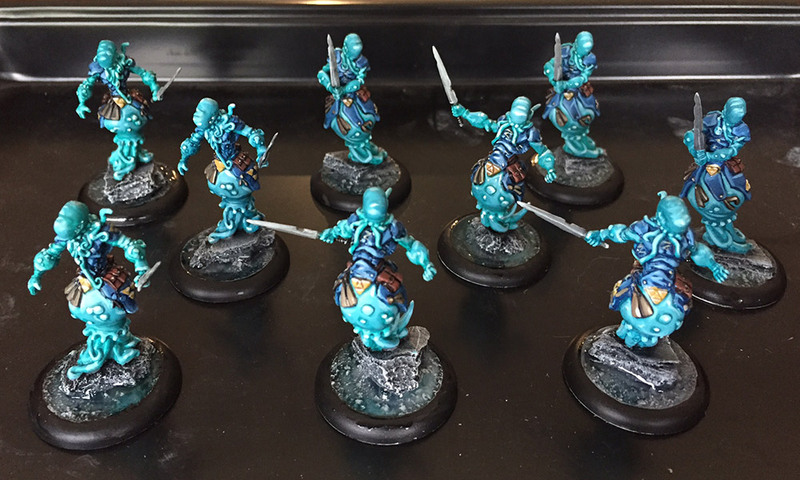 Not very clear in this pic, but I used water effects liquid mixed with a little blue and green ink on the bases. Very nice. I practically hear them slurping along. I really need to put more effort into basing my painted figures. Tend to use milliput to secure the figures to bases while filling any gaps, but it looks a bit… crappy. Doing nice bases is really worth the effort, it improves the visual impact of the minis a lot! 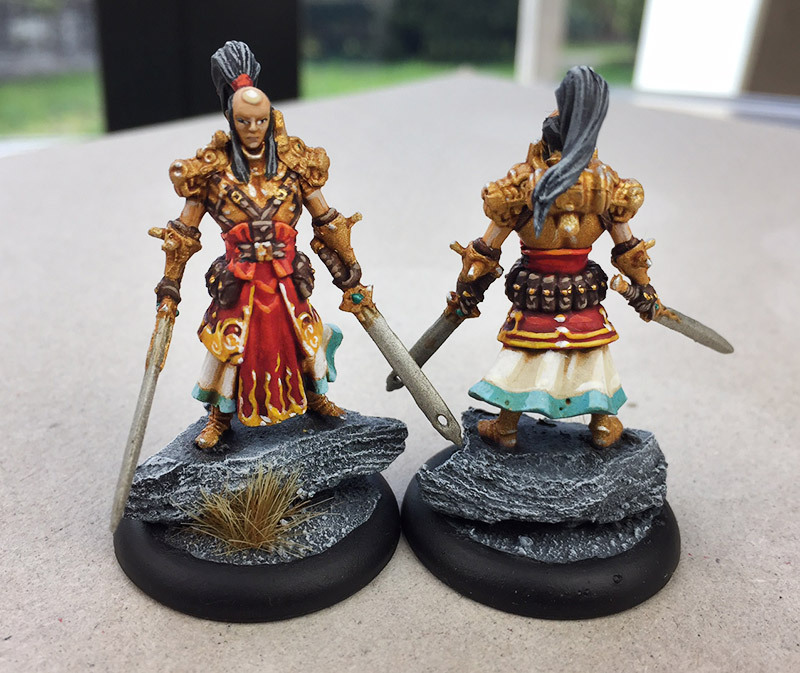 Looking really good…minis and bases! It’s pretty easy – a bit of bark maybe, perhaps a tuft glued on, some crushed kitty litter – it doesn’t take long but makes a mini pop. Wow, that’s an impressive dragon! You are going at a great pace now. I’m starting to find if you get into the rhythm of regular painting the speed really picks up. I’m doing the Wrath figures now, and I almost finished base coating all nine of them in one evening.